We designed two custom steel and oak staircases for the interior of an historic renovation in Siasconset MA on Nantucket. 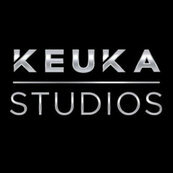 I have worked w Keuka in the past, and once again they delivered two perfect products. The design and engineering was flawless, a perfect puzzle for us to assemble. The quality of the powder coating was supreme, and even the thick white oak treads and rails they supplied were so well made, and of such a high quality stock! When you need something custom, AND right, turn to Keuka. They will not let you down.